You can have guaranteed admission to graduate programs in medicine, engineering, and other fields through Ohio Wesleyan's partnerships with top universities across the country. Many of these programs offer special scholarships and financial aid, and some provide accelerated pathways to a master's degree. If you know you want to pursue a graduate or professional degree in one of the fields listed below, these partnerships can give you a direct and economical path and take a lot of uncertainty out of the process. 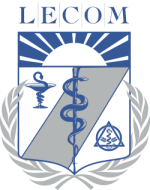 The partnership between Ohio Wesleyan University and Lake Erie College of Osteopathic Medicine enables qualified OWU students to gain provisional early acceptance into LECOM, the largest osteopathic medical school in the United States. The College’s main campus is in Erie, Pennsylvania, and it has branches in Greensburg, Pennsylvania, and Bradenton, Florida.